Beaphar Small Animal Dental Easy Treat, A delicious, healthy treat that also helps to keep teeth in shape by a process of natural wearing. 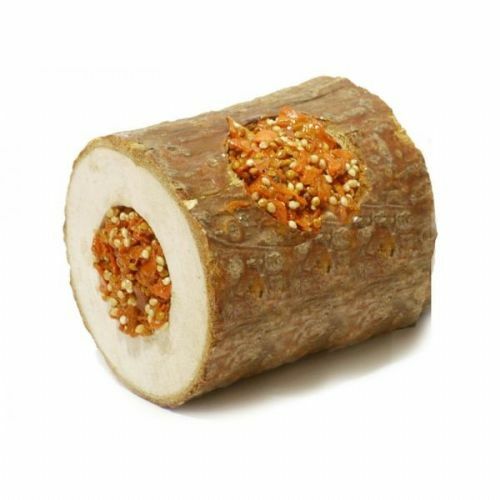 A delicious, complementary food for guinea pigs with, Vitamin C and rich in nutrients to keep them healthy and happy. 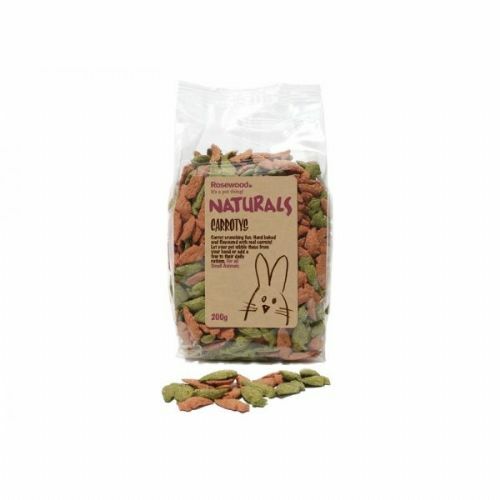 Excel Nature Snacks are complementary healthy snacks for rabbits, guinea pigs, chinchillas and other small animals. Gnawing on Excel Nature Snacks Gnaw Sticks will help wear down teeth. 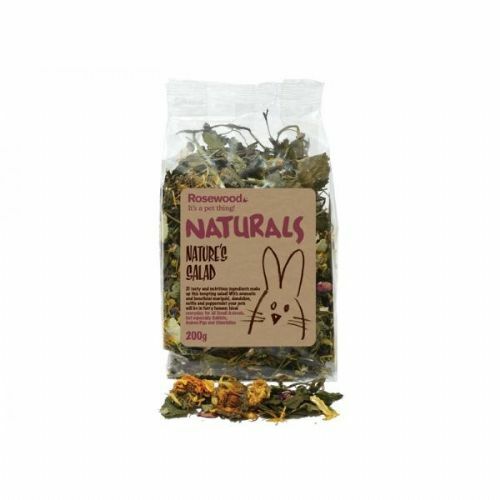 Burns Meadow Mix Small Animal Food is a delicious mix of flowers and leaves should be fed alongside hay and fresh greens (wild plants, herbs or vegetables) and a small amount of dry food as part of a healthy diet. Burns Carrot Slice Dog Treats are the ideal way to reward dogs & small animals who need to watch their weight, they are low fat, hypo-allergenic complementary treats. Burns Natural Willow Chew Sticks are suitable for a wide range of small animals, with no added sugars, flavourings or colours, which help to promote healthy teeth and prevent boredom. 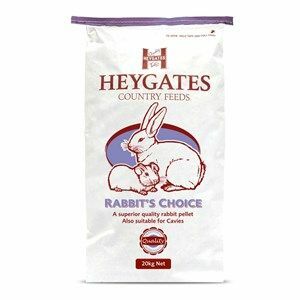 Heygates Rabbit Choice Pellets with added vitamin C. Rabbits Choice pellets can be fed to Rabbits, Guinea Pigs & other Small Mammals. Carrotys treats for all Small Animals contain real carrots and mixed herbs. Let your pet nibble these crunchy treats from your hand or add a few each day to their daily rations. The healthiest treat sticks available. 100% grain-free. No glue, honey, egg or gelatine. Made from beneficial herbs, vegetables and seeds with a natural cotton hanger. A blend of 40% dandelion, 30% melissa and 30% plantain. 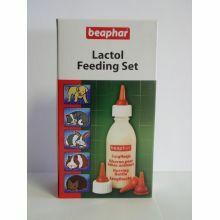 Can be fed daily to enrich your pets diet. 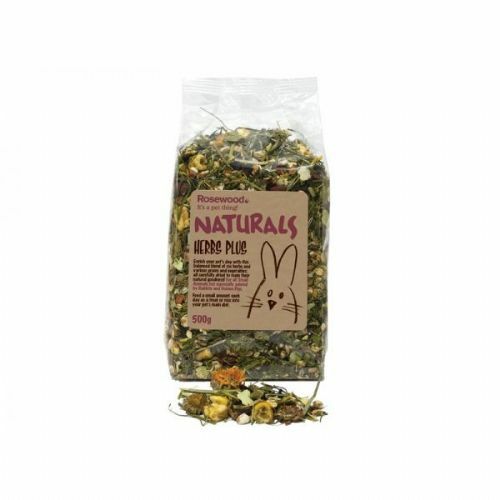 Ideal for rabbits, guinea pigs, chinchillas and degus. 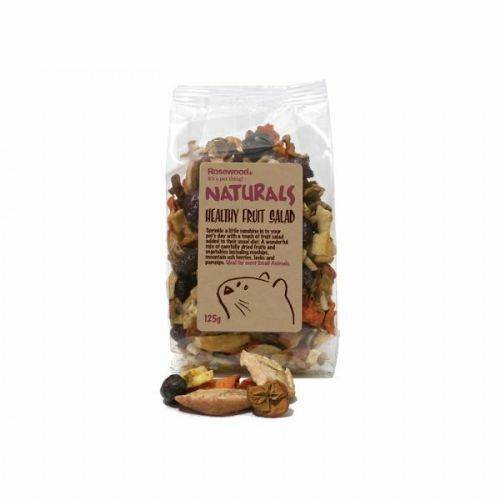 A wonderfully tasty treat, full of healthy and natural ingredients, for all Small Animals. Hang this bell of fragrant parsley and wheat in your pet's cage to make them stretch and work: keeping them busy for many days. Rabbits, Guinea Pigs, Chinchillas and all other Small Animals. Sprinkle a little sunshine in to your pet's day with a touch of fruit salad added to their usual diet. A wonderfull mix of carefully dried fruits and vegetables including rosehips, mountain ash berries, leeks and parsnips.ls. A balanced mix of herbs (including parsley, peppermint and red clover), grains and vegetables. Can be fed daily and helps stimulate your pets appetite. The Rosewood Naturals Carrot Cottage is a unique, cosy den for small animals. 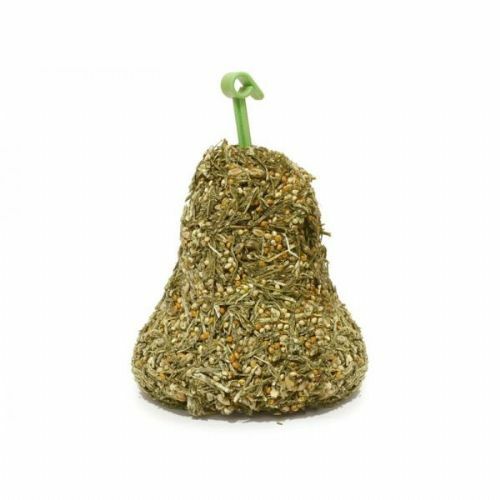 Medium size, suitable for guinea pigs, chinchillas and degus. Nature’s Salad - 21 tasty and nutritious ingredients make up this tempting salad! 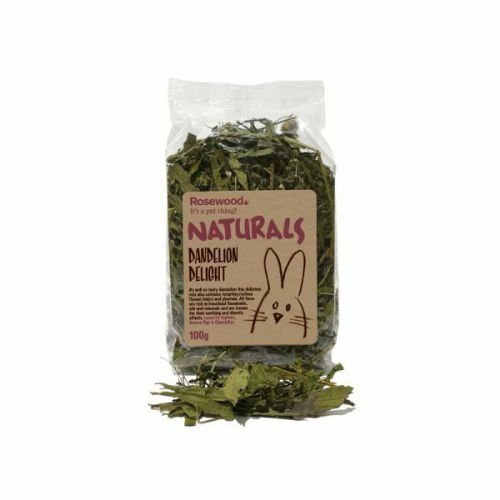 With aromatic and beneficial marigold, dandelion, nettle and peppermint your pets will be in furry heaven. 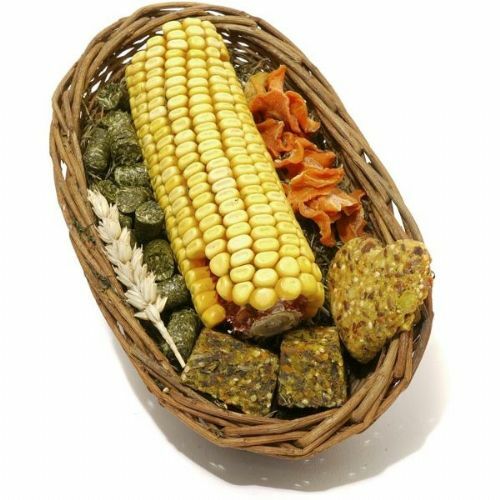 Willow Treat Basket Includes a sun-dried corn cob, meadow hay, carrots and herb and seed filled baked cookies. Ideal for rabbits, guinea pigs and hamsters. Made only from 100% natural ingredients.